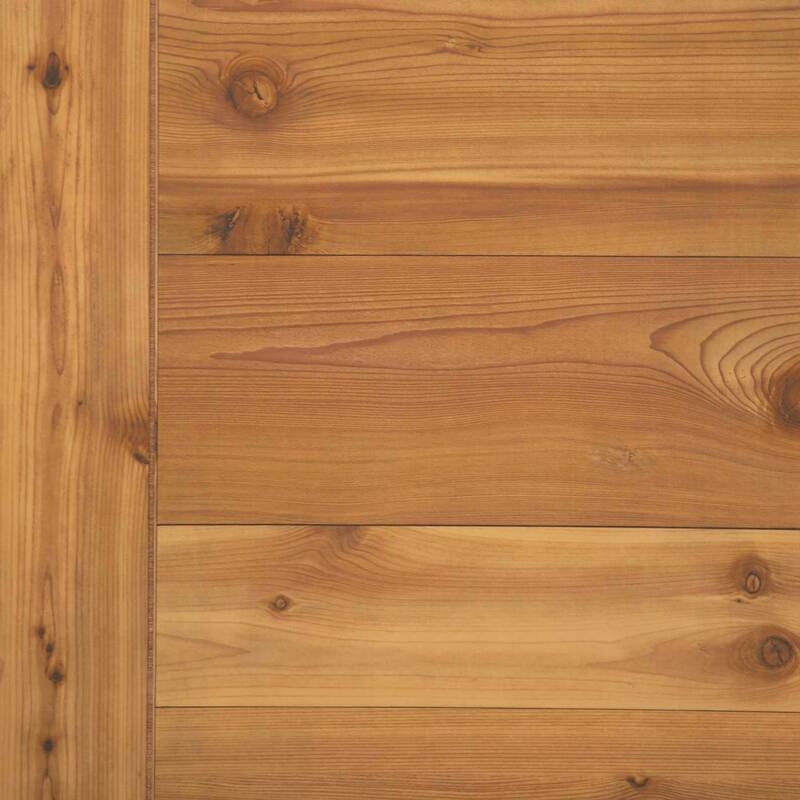 Western Red Cedar Paneling - Rustic, Durable laminate finish on real plywood board for longevity. Laminated plywood paneling has a high resolution photograph imprinted on quality paper that is then laminated to the plywood core using pressure, heat and adhesives in our manufacturing processes. Curbside delivery to an easily accessible address is included in our price. This rustic wood paneling, modeled after the classic Western homesteads of the past and high mountain lodges brings a sense of the outdoors to any space on any budget, and features a horizontal pattern of random planks. Each plank also has one vertical 4" wide plank, giving the look of custom framing when each panel is installed side-by-side. This is truly a casual warm wood paneling that lends space to any size room. If you are looking for the lodge feel then this wall paneling is right for you. It is not installed yet, just delivered and acclimatizing. Plan to start the installation this weekend and perhaps get started on the paneling. Must get home to watch the Patriots!!! So pleased with your product. The quality is great. It is easy to work with. Everyone that sees it, raves about it. Really gives a cabin feel. I am sure I will purchase this again.